Dr. Sidury Christiansen, assistant professor in the Department of Bicultural-Bilingual Studies, recently returned from a two-week assignment in Russia through the U.S. Department of State English Language Specialist program. Through the program, she visited Kazan National Research Technical University, Kazan Federal University, the NATE Conference, the National Writing Center Consortium at Samara State University, the Academic Writing Institute at Samara State University, Moscow Institute for Steel and Alloys, Bauman Moscow State Technical University, and the American Center. She presented to more than 670 Russian scholars, educators, and students, and her materials and video presentations have been accessed, shared, or watched more than 1,100 times combined. The main focus of my project was to inform and teach Russian scholars, faculty, and students about academic writing to meet international rigor and standards. The secondary focus was on writing center theory and practice. I utilized a rhetorical approach to my seminars, lectures, and workshops. That is, I explained the importance to adapt a writing style to a changing audience. This message resonated with Russian participants, since it was called to my attention that the message they constantly receive is to adopt an American mindset and change the core tradition of Russian scholarship. Some scholars mentioned to me that they view all the new requirements of “publish or peril” and publish in international and U.S.-based journals, as impositions. A few of them shared with me that they even viewed this imposition as a form of “linguistic imperialism.” Through my seminars and lectures I was able to explain that this does not have to be the case. In the multiple workshops, we explored ways to keep our own voices as second language writers, while meeting international standards of rigor and publication that privilege a rhetoric based on American styles of academic writing. My ultimate goal was to foster the understanding of American English writing and the values of American society behind these requirements. An important aspect that benefited the understanding of American values in research and publication was to demystify the many aspects of the publication process that was previously unknown to many of them. In some seminarsI explained the reasons behind peer-review and why what may be considered “acceptable” in the Russian context may not be in the U.S. context. Participants responded very positively to the idea that American English academic writing it is a different way of thinking; one that can become one more asset in their linguistic and academic repertoire. They seem to appreciate how much US values intellectual property, and as a result, they seemed more open to U.S. academic language, society, and its values. The benefits to participants can be divided in three categories: a) collaborative means to writing; b) better understanding of rigor and publication process; and c) internationalization of research. a) Three out of the 8 sites reported that they are now forming peer writing, peer review, and research writing circles to create and revise papers before sending them to publication. One specific example is at KNRTU-KAI, a university that does not have a writing center yet. They are now implementing a peer writing, revision group as a first step to establish a writing center. Their first goal is to open a writing center-like setting to begin training professors and students to the concept of writing centers. The proposed way of collaborative writing was new to them and they will begin implementing these circles face-to-face and online. b) The workshops helped participants to see the different rigor and standards between international journals and Russian-only contexts. They were given tools to critically assess journal selection and practice going through the peer-review process. They experienced hands on tips on writing methodology, idea development, thesis statement/arguments, titles and abstracts. More importantly, they now have a systematic way to write academic papers on a pipeline (i.e. how to write on two or three papers/projects at a time). Participants also have an array of technologies to help them in the writing process at each state (from invention to publication). c) Finally, participants have a better understanding of multimodality, mulitiliteracies and digital technologies. 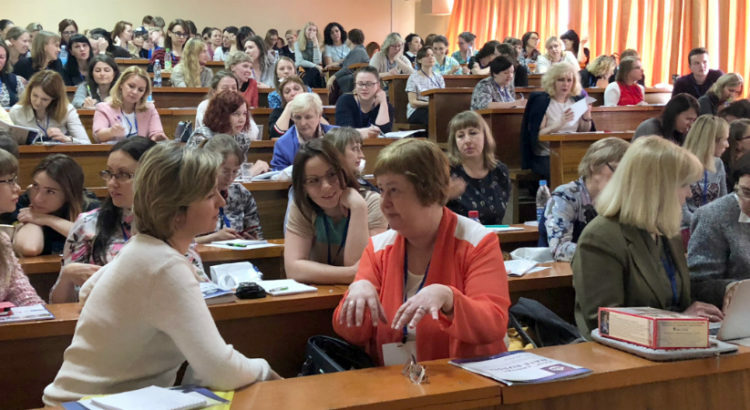 They were able to engage in discussions of research ethos, technology in the classroom, the role of digital literacies in academic writing, and the need to form partnerships for research and exchange programs between U.S. and Russian schools. One particular example is in Samara State University during the National Writing Center Association Consortium where participants not only are beginning to standardize writing centers, they also see the need to concurrently work with academic Russian along with academic English, to strengthen both sides of their academic writing skills without succumbing to the need to adopt an American style of writing without keeping their Russian academic traditions. The increasing need of English academic writing in Russia is so urgent and vast that my project is a dent that slowly expands the sphere of academic writing knowledge and writing centers in Russian universities. For example, one participant shared with me that she had flown from a city two hours away from Moscow (by airplane) just to attend these workshops, as they are much needed, but they have few opportunities to get training. Another participant shared that without proper training, teachers and scholars are being pushed to simply translate their work already published in Russian into English (using Google translate) and send it to journals in the US, but that was already a lost battle. She knew the chances of being accepted were slim but she had to show some “productivity.” Therefore, I was honored to be part of a larger project whose objective is to provide them with tools to overcome these new academic challenges. This Department of State English Language Program project in Russia was a great learning experience for me. Issues on language ideologies, research and writer identities, sociolinguistics, and language policy were the core of many discussions during my seminars and workshops; thus, learning the perspective from Russian scholars was enlightening. I already shared some of these lessons with my BBL 5123 Sociolinguistics in Education class students this Spring 2018 semester, and I will incorporate more in my ESL 6063 Advanced Literacy Class next semester and subsequent ones. UTSA students have already and will continue to benefit from this experience as well. I excitedly look forward to collaboration between the different Russian institutions, as there is so much we can learn from them. M. Sidury Christiansen, Ph.D. is an Assistant Professor of TESOL/Applied Linguistics at the University of Texas at San Antonio, a former Fulbright Scholar, and a Department of State English Language Specialist. Her research interests include sociolinguistics and digital literacies, especially on learners’ engagement with each other in digital spaces. She explores the intersections between literacy and language ideologies, identities, and culture online. In the area of digital literacy, her current work focuses on the use of digital technologies for second language writing development (e.g., digital storytelling, use of apps and video making to advance academic essay writing), and on the teaching of academic writing for research and publication. Her publications have appeared in journals such as Written Communication, Writing & Pedagogy, Journal of Sociolinguistics, International Journal of Bilingualism and Bilingual Research, and the Journal of Response to Writing.